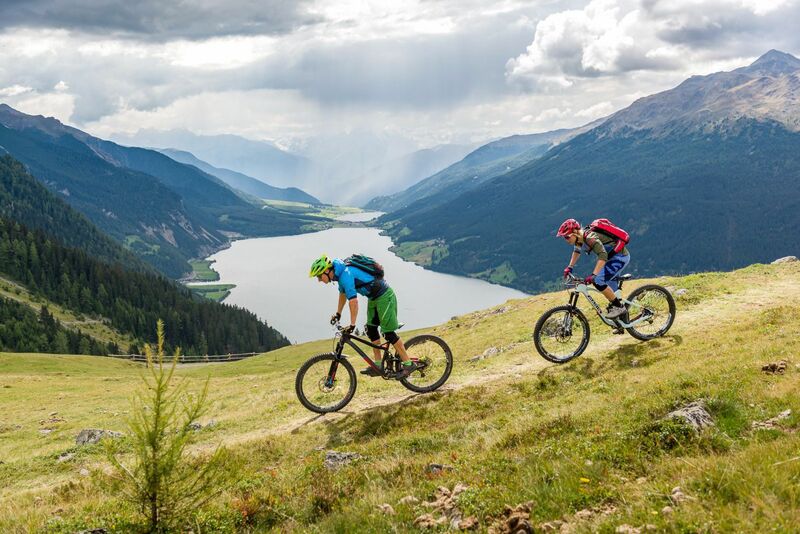 Mountain biking enthusiasts are sure to find a variety of trails around Resia Lake, ranging from the more challenging tracks leading up to 2,600 meters above sea level to relaxed rides for the whole family. These are around Resia and S. Valentino lakes that do not vary much in altitude, so everyone will find the option that best suits them. 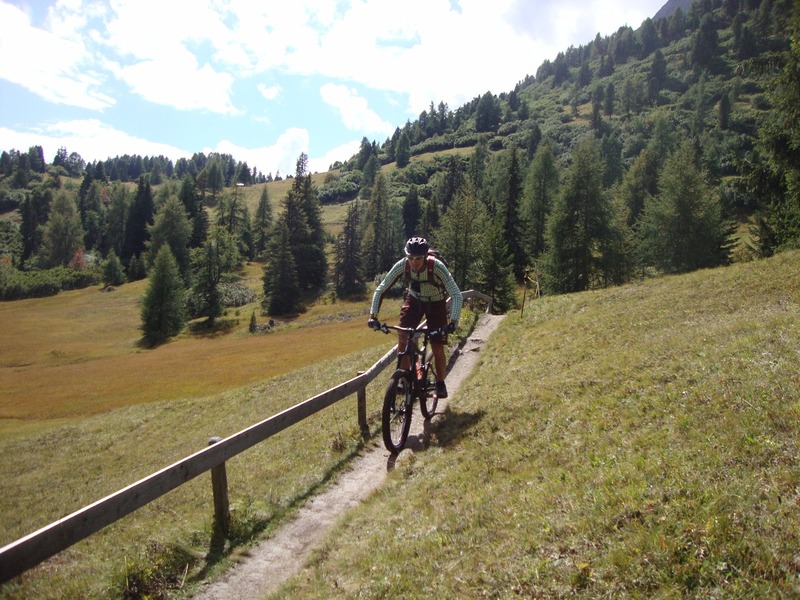 The well-marked, single-track trails suited to cyclists of all levels run along the bottom of the valley, around the lakes and up to the mountain pastures into the mountains. The trails at the bottom of the valley are suitable for beginners while the winding single track on the main Alpine ridge and on the Ortler Mountains, require considerable stamina, endurance and experience. 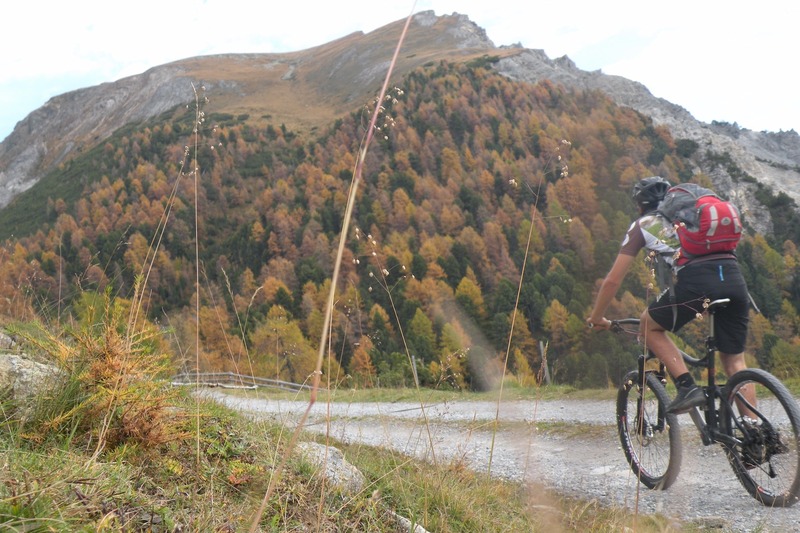 The Rojen and the Plamort trails are challenging circuits suited to the more seasoned mountain bikers, while the paths leading up to the S. Valentino Alpine or the Curon Alpine hut, or along the Langtaufers Valley emphasize the sheer pleasure of a ride through this beautiful natural mountain landscape. Cyclists and mountain bikers will find plenty of opportunities and official bike trails in Venosta Valley. Nevertheless, as illustrated in our video "Share the Trail", it is important to observe a few rules and pay attention to both hikers and nature. See here recommendations to make mountain bike tours safer, environmentally friendly and free from conflicts. 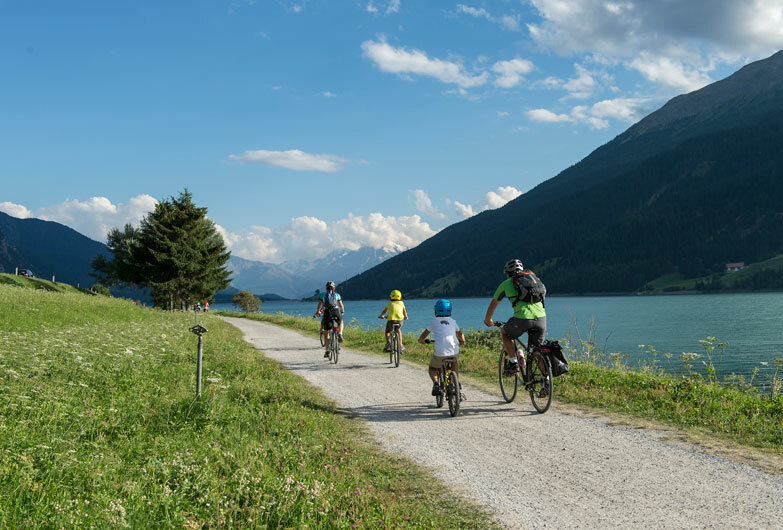 The right infrastructure for cyclists: Some hotels and guest houses in the region are specialised for mountain bike holidaymakers and offer their guests a comprehensive program and the appropriate service for a successful cycling holiday at the Resia Pass. The 24 single trails of the 3-country Enduro region guarantees full satisfaction for enthusiasts of this sport. The 3-Country Summer Card Gold BIKE is the ultimate card for enthusiastic MTB and Enduro fans, valid in the three border regions of Italy, Austria and Switzerland, providing free use of the mountain railways, unlimited mobility in the local area and numerous concessions.